Just. the. most. beautiful. hotel. ever. 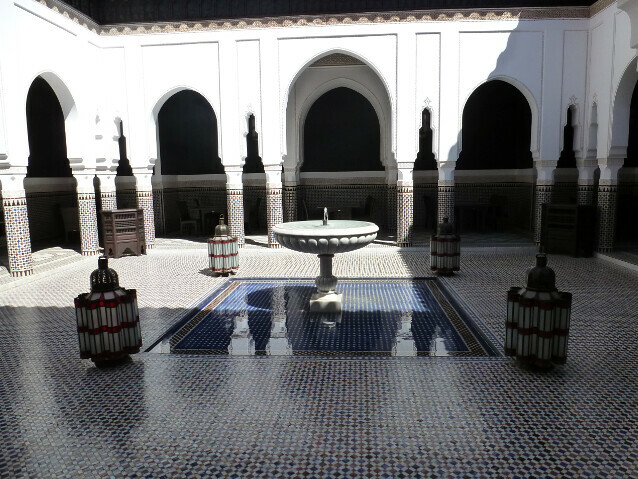 That's La Mamounia. 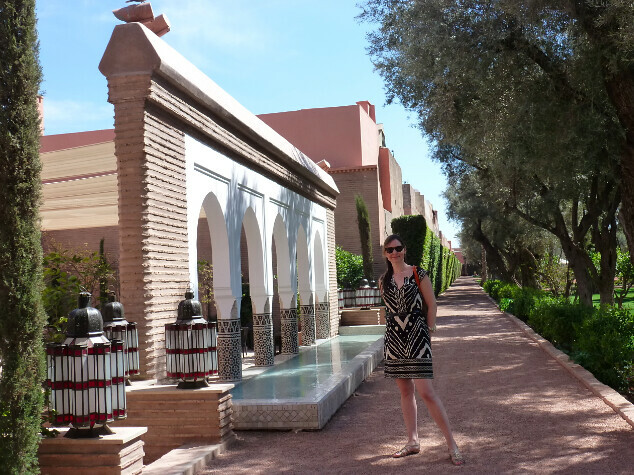 Inside the medina walls in Marrakech, it's history and legend and glamor and gardens and luxury all rolled into one. Um, well, not that I've stayed here. 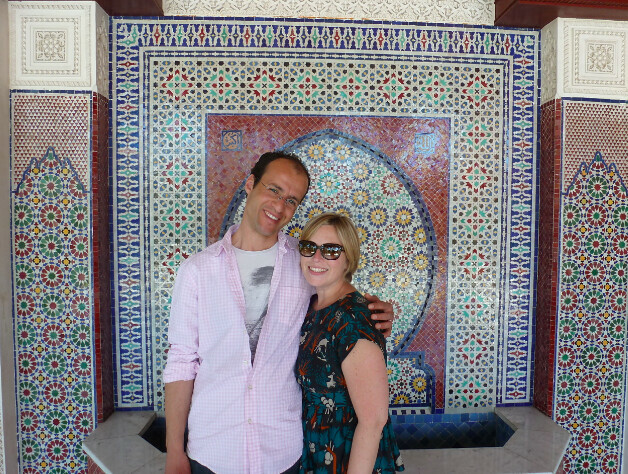 I just walked around the grounds with Idriss and my dear old friend Mara, who came down for the weekend from London. 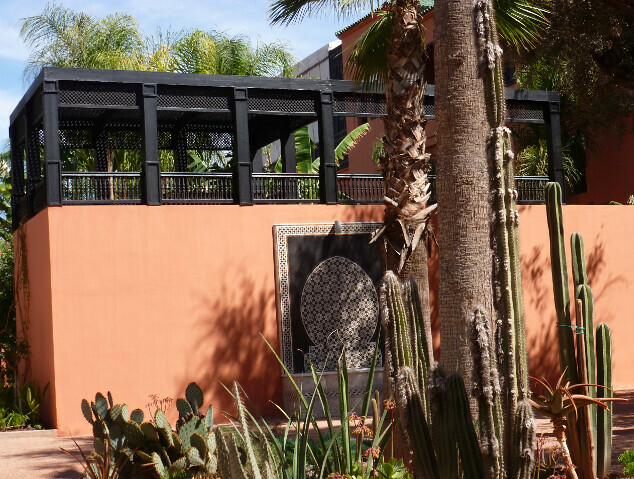 The gardens overflow with citrus, olive, fig and palm trees. A large vegetable patch thrives towards the back of the grounds. 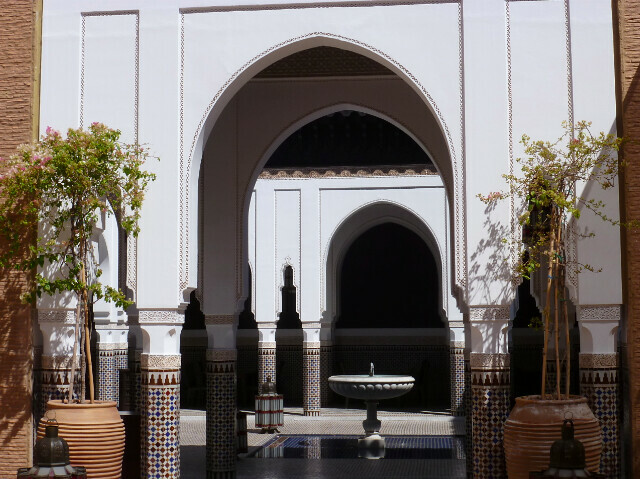 Everywhere you turn are restored fountains, luscious views and luxurious calm in the heart of Marrakech. OK, I need to stop blathering on. Someday we'll book in here! (hint, hint, Idriss!). 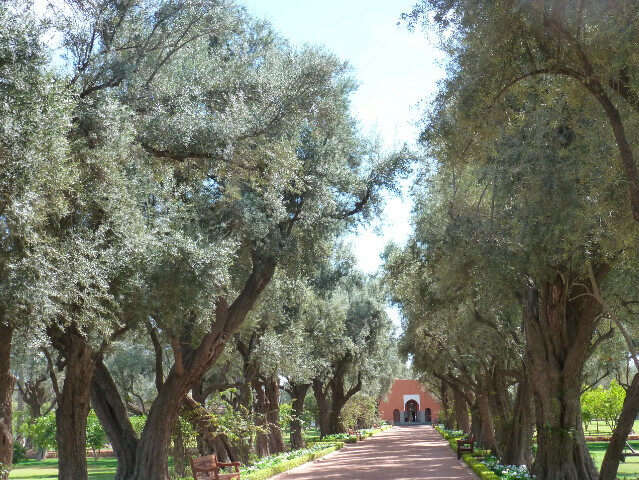 Old olive trees line the garden paths. That's Mara! Outside one of the many restaurants. The terrace of (I think) one of the riads for rent here. 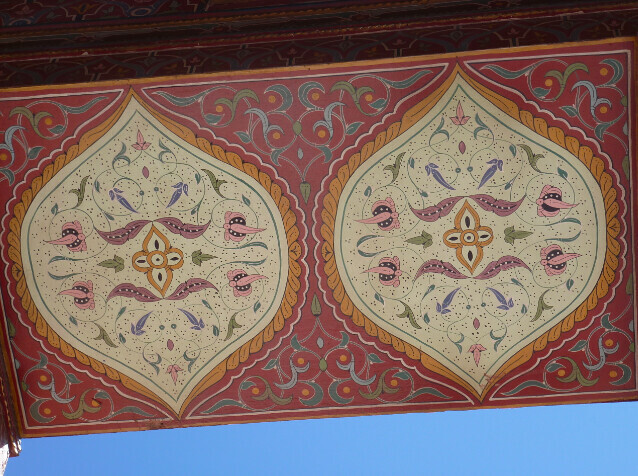 Not sure if I've mentioned that virtually all of Marrakech is this color? It is a city that truly glows in sunlight. 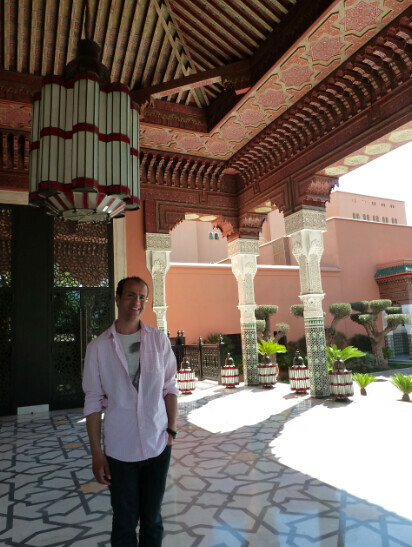 Idriss and I set off the lovely fountain :-) Anyone who comes to Marrakech: come to Mamounia just to soak in the grounds, have a coffee or lunch by the pool. It's really worth it.